The MissionGiving those struggling with addiction a brighter tomorrow. Harmony Life Center came together from a group of community minded activists with a mission to assist those struggling with addictions to find the resources required to fully recover. HLC follows evidence based programs with highly effective results, including SAMHSA 8 dimensions of wellness. 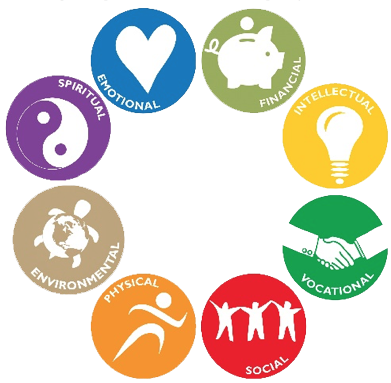 Our programs encourage and facilitate growth in each of the above aspects of wellness. This is foundational to the second part of our mission—to assist each other to become whole in every aspect of our lives so we discover and become the persons that we were created to be! Our goal is nothing less than Happy, Joyous and Free Living as well as being absent from drugs, alcohol and behavioral compulsions & addictions.